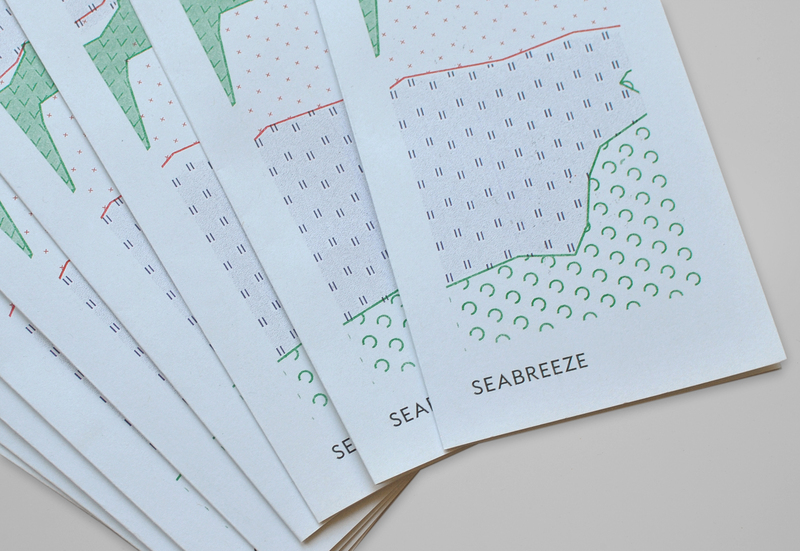 Henry and I developed branding unique to the beautiful location of the newly opened Seabreeze. Taking the corner of Garnet and Lemminton Road, Seabreeze overlooks the Meola Reef. We created a diagrammatical map of the reef from overhead. I created different patterns using glyphs from the typeface used which, together with colour, denotate different geological areas (sea, reef and land). 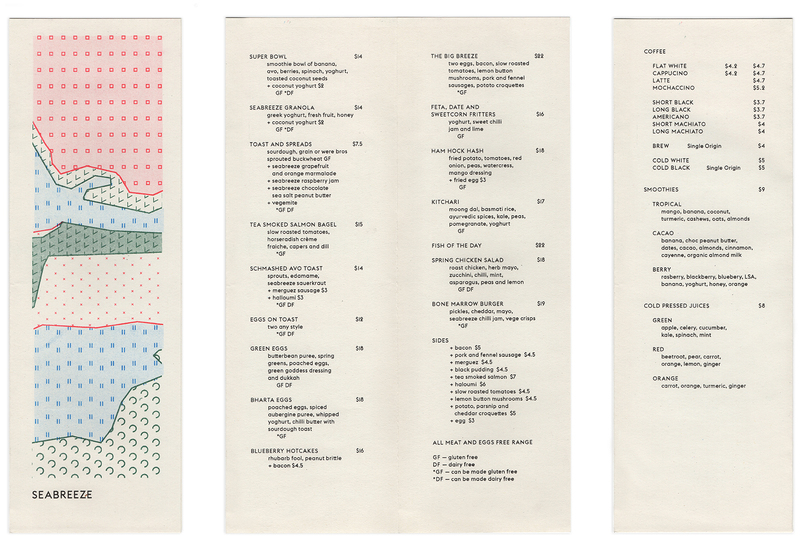 The menus and artwork are printed with analogue colour separations through a Risograph GR 3770 onto Eco 100 stock. We manually printed these with Inky Palms on K-road. 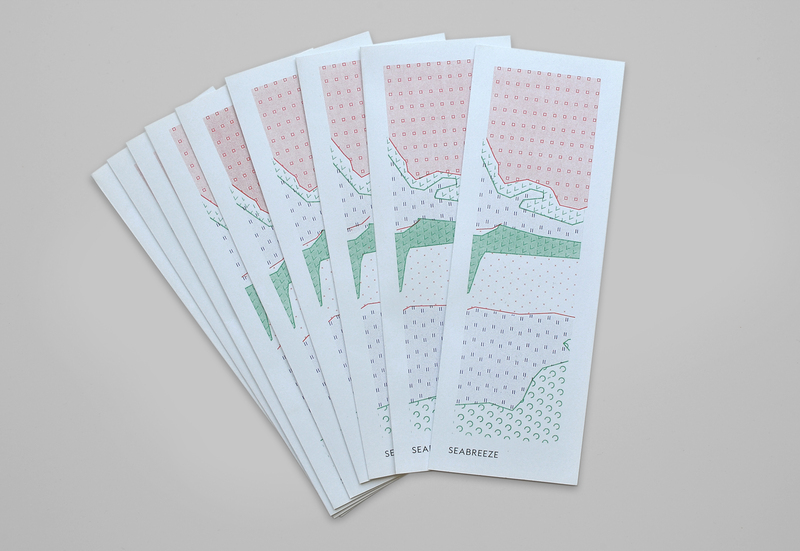 The Risograph creates pure bright colours and a lovely textural print quality. The branding nods to the 80's with it's slight pop-science book aesthetic but remains contemporary through paired back modernist typography.